I can’t get enough soup in my life at the moment. It is uncategorically freezing outside, and whislt in my last post I talked about how January is a good month etc. etc. yadda,yadda, yadda. Boy is it cold! When the weather is like this there is nothing for it but to baton down the hatches and eat utterly warming food. 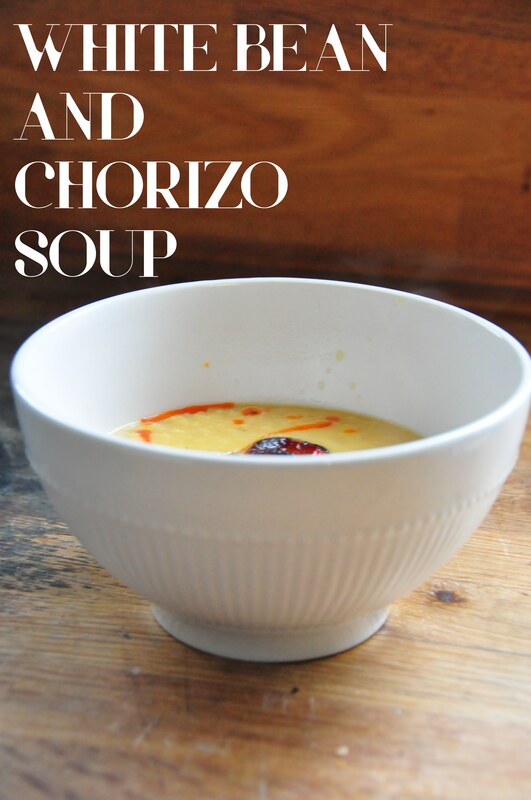 On the menu today, White Bean and Chorizo Soup for lunch and Sausages with Parsnip and Apple Mash for dinner. I won’t waste your time with my Sausage and Mash, it is pretty self explanitory. However the soup, well the soup was perfect. Warm, healthy and delicous. I feel like I am repeating myself here. 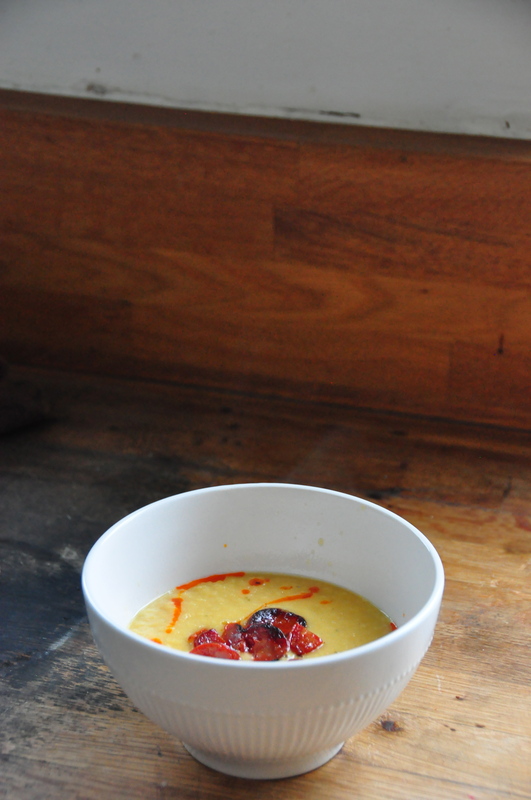 But soup is so good and so easy to make, so I am urging you have a go, it’s the perfect lunch. So satisfying, filled with hidden goodness and of course utterly scrumptious!